First of all, I know I might be one of those last or if not, one of those who are late to “board the train” of the Shadowhunter fandom, but to be honest, I’m happy that I read this just now, because I wouldn’t have been able to review this book if I read this a long time ago. 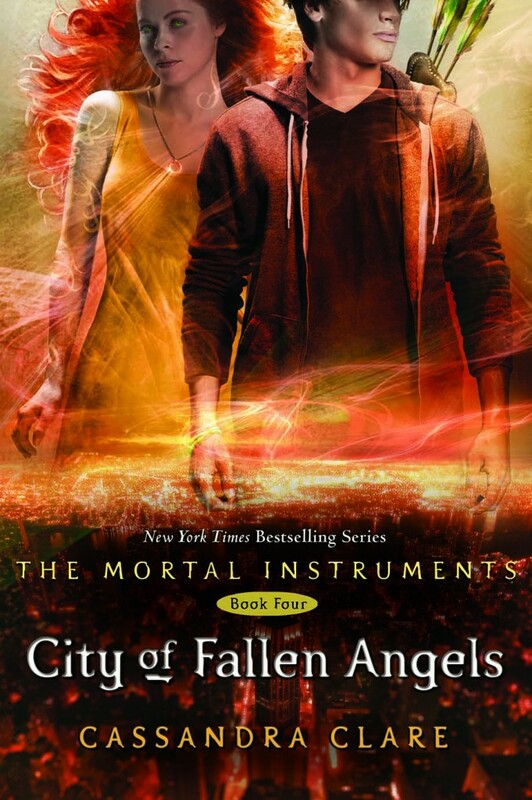 The story started where City of Glass left off, after the Mortal War. Knowing that Valentine and Jonathan were dead, I actually thought everything would be okay for the characters. I thought they could go on with their normal lives and live happily because there were no threats looming around anymore, and boy I was wrong. I guess being a Shadowhunter truly meant that there was a constant threat in your life, and you can never run away from it. Once again, Clare has made me enjoy and live the Shadowhunter world, and it was truly like I was with the characters while things happened in the book. And its fast pace never fails. It makes you just want to turn the page until you reach the end, and then leave you absolutely wanting for more. It was hard to leave the book, really, and there was once again a rollercoaster of feels showcased in the book, that will have you laughing at one page then leave you on the brink of tears in another. The diversity of the characters Clare used continue to intrigue me. They were all complicated, all driven by love and passion, but all the while still different. I loved that more characters were introduced so to exhibit that the Shadowhunter world is rather small and that they are quite not alone. Downworlder abilities still amaze me, and the power of the Silent Brothers I find hauntingly impressive. I also loved that characters from “The Infernal Devices” were mentioned and recognized in the novel. There were just so many twists and turns in this novel that ragged breathing was almost normal at some point. I found myself laughing over some scenes mostly those with Jace, and then grasping the edge of my seat due to the other scenes in the novel. It really grips you right from the start, and won’t ever let you go again. I guess the ending wasn’t that quite okay for me, but still really intriguing to keep you wanting to read the next books. I highly recommend this book to those who love fantasy, vampires and werewolves, and action-filled novels. Oh, and I would willingly jump into reading the next installment of the series.